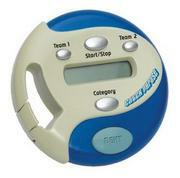 Wholesale Key chains.com is a large online store for all things keychains. They have just about every key chain possible. Many months back I did a review of the Pink Digital Photo Key chain and I still love it. I have always thought that keychains are a fun as souvenirs, gifts, and more. Key chains are a must have to hold keys, but its also fun to have one with personality. I was recently sent the Harley-Davidson Logo Bottle Opener Key chain. 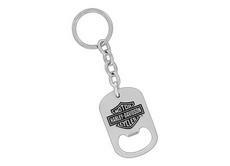 This metal Harley-Davidson Bottle Opener Key chain has the Harley-Davidson bar and shield logo on the front. It measures approximately 4.5" (including chain & ring) x 1.5". The Harley symbol is etched into the key chain. Its all one piece, solid, and sturdy. You can also have the back of this key chain engraved with up to three lines for a small fee. My mother and step father have a couple of Harley-Davidson's. My step father enjoys most things Harley. I thought I would like to share this great key chain with him. I am sure he will love it and use it as his main key chain. I can't wait until we see them again so I can give it to him. I also wanted to share a few of the other great key chains they have. So many fun options~! Aren't they all great?! Like I said Key chains can be fun and really show your personality. 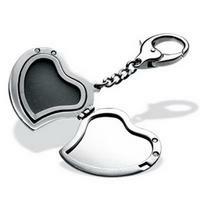 If your in need or want for a fun key chain, harley-davidson or other then check out Wholesalekeychains.com. I have a friend that collects Harley memorabilia and this would be a perfect gift for her. Great collection of key chain. I having Harley Davidson tag key chain which i have bought from my colleague. Now onwards i am exciting for light weight key chain.